His real name was Frank Chance, but even his teammates called him “The Peerless Leader.” (Sometimes they just shortened it to “PL”). He was the undisputed leader of the best Cubs team in history, the Cubs of the ’00s. With the Peerless Leader at the helm, they won four pennants and two World Series titles. He allowed the boys to have their fun (he usually bought drinks and played cards with them), but in exchange he expected them to shut down the festivities at midnight the night before games, and to play their hardest during the games. He led by example. Anyone who wondered how to perform merely needed to watch the way Chance fiercely defended his turf and teammates. He was known as a brawler, and he was so unafraid in the batter’s box he was beaned more times than any player of his era. (Complications from those beanings eventually ended his career, and probably shortened his life). One time after a loss he was brooding at home after a loss and wouldn`t eat or talk. His wife said, “Don`t worry, dear, you still have me,” and he replied “Many a time this afternoon, I`d have traded you for a base hit.” James J. Corbett, heavyweight champ, called him: “one of the best amateur fighters I`ve ever seen.” One time he provoked a riot by punching out Giants pitcher Joe McGinnity at the Polo Grounds. Another time he threw a bottle into the stands at fans in Brooklyn. He was just as fierce as a manager and general manager. He once acquired a pitcher (Jack Harper) who beaned him one too many times, just so he could cut his salary (by 2/3), and refuse to pitch him, thereby effectively ending his career. His superstitions were just as legendary. He always insisted on berth 13 in a train—and if he couldn’t get it, he’d write it on the door. Before every game, he looked for four leaf clovers. Chance and his doubleplay mates (Tinker & Evers) were inducted into baseball’s Hall of Fame in 1946. Unfortunately for Frank, he had already been dead for 22 years. The Cubs acquired Bowden in the deal that sent Marlon Byrd to the Red Sox. Bowden was a local boy who grew up in nearby Aurora. He became a valuable member of the bullpen for two seasons, appearing in 64 games. After the 2013 season, Bowden left via free agency, and signed a contract to pitch in Japan. Jackson was the first free agent signed by the Theo Epstein regime (4 year, $40 million), and they probably aren’t happy about it. Edwin came to Chicago with decent credentials. He had pitched a no-hitter, and appeared in two World Series and one All-Star game, but it hasn’t worked out for Edwin with the Cubs. In 2013 he lost a whopping 18 games, and finished with an ERA of nearly five. In 2014, he was worse. He did have a part in setting a record with the Cubs, however. He and Michael Bowden combined to throw five wild pitches in one inning. In his last season with the Cubs (2015), he pitched exclusively out of the bullpen. The Cubs released him at the end of July, and he finished the year with the Atlanta Braves. 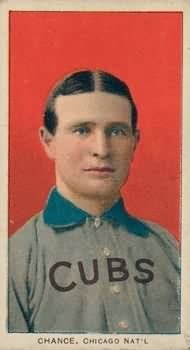 Zeile had a stellar 16-year career as a third baseman, catcher, and first baseman, but only half of one season was with the Cubs. The Cubs acquired him in 1995 for pitcher Mike Morgan, but Zeile was a free agent at the end of the year, and signed with the Phillies. He also played for the Cardinals, Dodgers, Orioles, Marlins, Rangers, Mets, Rockies, Yankees, and Expos. In his career he hit over 250 homers. Nine of those were with the Cubs. He may have been a good power hitter, but Zeile was a bit of a butcher in the field. He had more errors in the 1990s than any other player in baseball. Mumphrey was an excellent hitter. His lifetime batting average (with nearly 5000 career at bats) was .289. He also hit very well with the Cubs, posting averages of .304 and .333 in his first two seasons. But Jerry wasn’t really an everyday player anymore at that point in his career. He was essentially a fourth outfielder. In retrospect, he probably wasn’t worth the price the Cubs paid to get him: future World Series hero Billy Hatcher. His father was a Hall of Famer with Cleveland, but Earl Jr. wasn’t quite the player his father was. He had decent pop in his bat (11 homers with the Cubs), but he struggled to hit for average. He hit .233 and .237 with the Cubs. He also played for the Indians, White Sox, Angels, and Phillies. His best season was probably 1961 (with the Angels), when he hit 21 homers. He also reached base 17 consecutive times–still a major league record. Ed was mainly a career minor leaguer, but he did get three cups of coffee in the big leagues. His last one was with the Cubs in 1957. The first baseman was used mainly as a pinch hitter, and was 0 for 12. His most notable achievement in the big leagues occured in 1953. He knocked in the final run in St. Louis Browns history. The team moved to Baltimore in 1954. Dalrymple was the starting leftfielder for the Cubs (then known as the White Stockings) when they dominated the National League in the 1880s. They won five championships during his seven years. Unfortunately, team owner Al Spalding didn’t like the way they did it. They were known as a bunch of rowdy hell-raisers and drinkers. After the 1886 championship season, Spalding dismantled the team, sending all the drinkers (including Abner) to other teams. They didn’t win another championship until 1907. Abner finished his career in Pittsburgh.